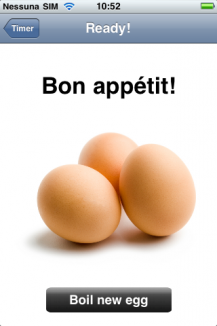 Does it annoy you, that every time you want a hard-boiled egg you get a soft-boiled one instead? Well, then 'Egg Chef' might be answer to your breakfast-nightmares! 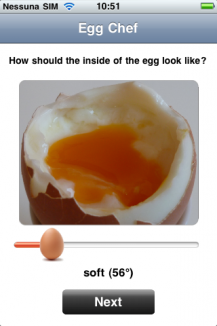 With this app we promise, that your eggs will turn out just right! 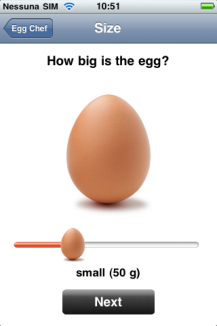 How hard/soft do you want your egg to be? 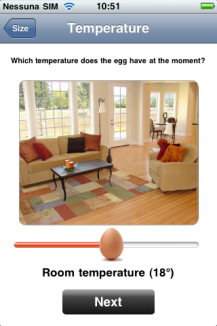 Which temperature does the egg have at the moment (did you just get it out of the fridge? Or is it just coming from a trip to Barbados?)? Then, all you have to do is wait for the bell to ring! And voilà! 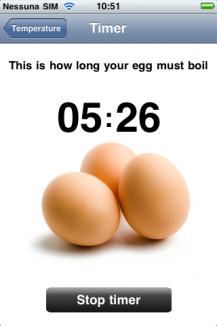 You have THE PERFECT BOILED EGG!